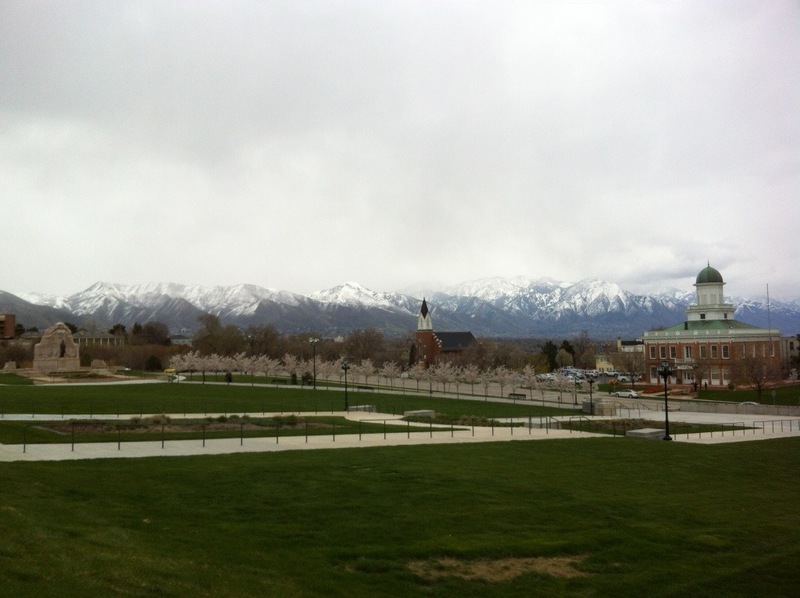 Take your own Wasatch fieldtrip – from home! The Wasatch Range looms beautifully behind downtown Salt Lake City, which is dropping off the face of the mountains along the Wasatch Fault, one earthquake at a time. Today as my final SSA conference event I’m attending a field trip to visit the Wasatch Fault and see Utah’s efforts at understanding and mitigating the risk from this fearsome structure. The trip is being handily led by Utah Geological Survey (UGS) scientists Chris DuRoss and Bill Lund, and involves the contributions of a lot of scientists and engineers. We’ll visit geologic trench sites, seismic stations, and retrofitted buildings all around Salt Lake City, and I’ll have a full report later on. While I’m out seeing the real thing, you all can take your own tour of the Wasatch Fault with this well produced, informative video from the UGS. This week I’m attending the Seismological Society of America annual meeting in Salt Lake City, Utah. The society was founded in the wake of the 1906 San Francisco earthquake, so the annual meetings generally coincide with the quake’s April 18 anniversary. 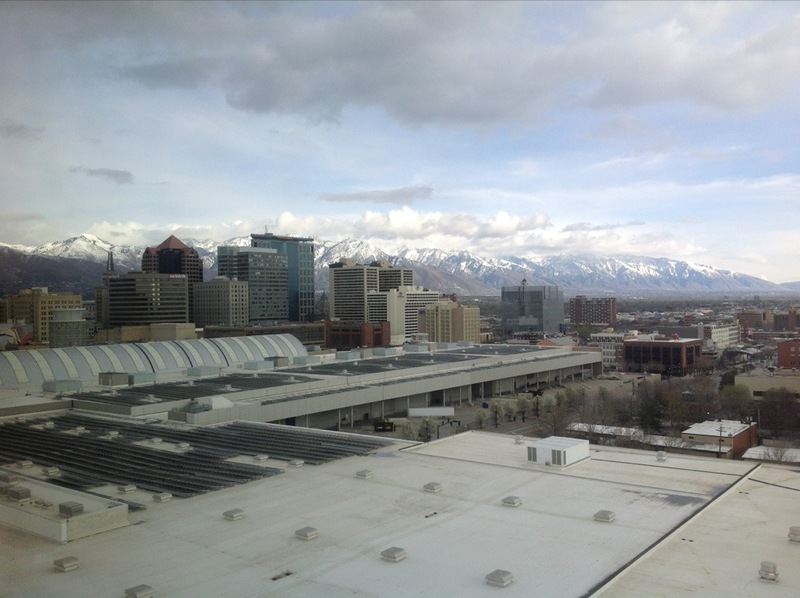 This year’s conference is held in Salt Lake City, at the foot of the gorgeous and seismically ominous Wasatch Mountains. As such the conference is nominally focused on earthquake hazards in the U.S. intermountain west. The organizers have done a marvelous job arranging events, public lectures, and coordinating with Utah’s statewide ShakeOut drill on Wednesday in order to raise public awareness of the risks posed by the Wasatch Fault. Below are details on the two big public events, if you’re in Utah and looking for some straight-from-the-source earthquake info. I’ll report more throughout and after the week on other goings-on at the conference, including the discussion and results from my own session on what stops earthquake ruptures, and a big field trip to see the Wasatch fault and SLC’s seismic preparedness on Saturday. Everywhere – under a table! This is the inaugural post of a weekly series I promised to start that will supplement my more in depth but sporadic blogging about topical seismic events. A couple months ago I joined Twitter to broadcast some of the interesting seismic news snippets I come across daily, including lots of content that didn’t really warrant drawn out posts. As I promised then, I’m now compiling my full week of Tweeted links into a “weekend reading” sort of post, to let you catch up on all the earthquake news you missed as it flew by on Twitter. So here goes: a bunch of articles about earthquakes to read, and why to read them. “[Japan’s EEW system was able to] activate computerized programs to slow commuter trains so they did not go off their tracks, stop elevators so passengers were not stranded between floors, flash highway warning signs instructing motorists to slow down and avoid overpasses, and open doors at fire stations so they would not be stuck shut should power be lost. The warning would go out to home computers and personal cellphones, giving surgeons a moment to withdraw scalpels, workers at Disneyland time to shut down Space Mountain, home cooks an opportunity to turn off the gas and everyone a moment to… dive under a desk. I like the introduction of the intangible psychological benefits of reducing the paralyzing suddenness with which earthquakes set upon us. A bunch of articles have just come out regarding earthquake survival kits. Oregon Live asks where to put them (the answer is “everywhere… and make sure they’re accessible”). And the New Zealand Herald describes an effect I think most seismologists would be ecstatic to learn of: small tremors have a huge impact on emergency kit sales (up 300%), signaling that people really do treat the benign moderate jolts as reminders of real hazard. On a subject intimately related to the prior two, The Guardian published an article by Dave Petley, director of the Institute of Hazard, Risk, and Resilience at the University of Durham (and perhaps known more familiarly as the author of AGU’s Landslide Blog). Dave presents the elusive ideal of earthquake prediction through a simple and plainspoken set of thought exercises, which ultimately illustrate that prediction isn’t truly what we want. Mitigation, preparation, and a few moments warning should suffice… and may have to. On the 2nd anniversary of the March 11, 2011 M9.0 Tohoku earthquake, the National Oceanic and Atmospheric Administration reminded us that twenty eight other tsunamis have struck various parts of the world since then. Join my SSA special session: When and Why do Earthquake Ruptures Stop? I highly encourage any of you who think you have answers to that question to submit an abstract for a poster or talk in our session. The detailed request is below, but I’ll emphasize here that this question is near and dear to my heart as essentially the broad topic of my PhD dissertation research. I can describe that in a future post, but if you want to hear the deets, come to our session! I should also emphasize that the deadline is seriously rapidly approaching: Thursday, January 10 at 5pm Pacific (UTC -8)! Eek! Cessation of coseismic fault rupture has been suggested to result from a variety of mechanisms, ranging from fault-specific static properties to transient, rupture-history-driven dynamic effects. Field and modeling evidence alike implicate static or quasi-static properties such as fault geometry, frictional asperities or regions of creep, and time-dependent poro-elasticity as strong controls on rupture endpoints. However, static, dynamic, and quasi-dynamic numerical models, as well as mounting instrumental and field evidence demonstrate that, as stress evolves over multiple seismic cycles, transient effects may periodically overcome established static barriers, allowing rupture to continue. While much work has been done to investigate the effects of individual mechanisms on rupture cessation, the next step is to merge disparate studies of competing mechanisms in order to understand their relative roles within a given fault system. We invite presentations that summarize findings from numerical models, laboratory tests, observational analyses, and field and paleoseismic investigations that address various mechanisms that inhibit earthquake ruptures. We encourage comparison of these effects with one another, as well as discussion of how to evaluate which properties may dominate rupture through a given fault system, and of how to determine which effects are persistent over multiple earthquake cycles. Their supplemental material makes for an entertaining read, listing 360 seconds of tweets containing “earthquake” that followed the 2009 M4.3 Morgan Hill quake in the Bay Area. Electronic Supplement to Earle et al., 2010 While thoroughly exploring the caveats of twitter quake detection such as the general lack of true shaking records, including the fact that shaking intensity is unreported or unreliable, the authors demonstrate the powerful comparison of Twitter response times to the average reporting delays of even our fastest instrumental networks. Whereas tweets are published with a lag time of ~5 seconds, official USGS earthquake solutions are only made available minutes after an earthquake. Commonly in disasters, small data transmissions via mobile devices offer the only functional way to disseminate information, since power and telephone lines may be disrupted and data-heavy voice calls may overwhelm cell networks. Many people on both coasts may have a familiar experience in mind following moderate earthquakes: even with light shaking and no damage, the excitement stirred up by a temblor results in an overloaded cell network incapable of supporting your phone calls. It can be hours before phone calls go through. A fairly unique study came out a few months ago in the journal Geology, in which the authors propose a novel mechanism of erosion: abrasion during earthquake shaking. 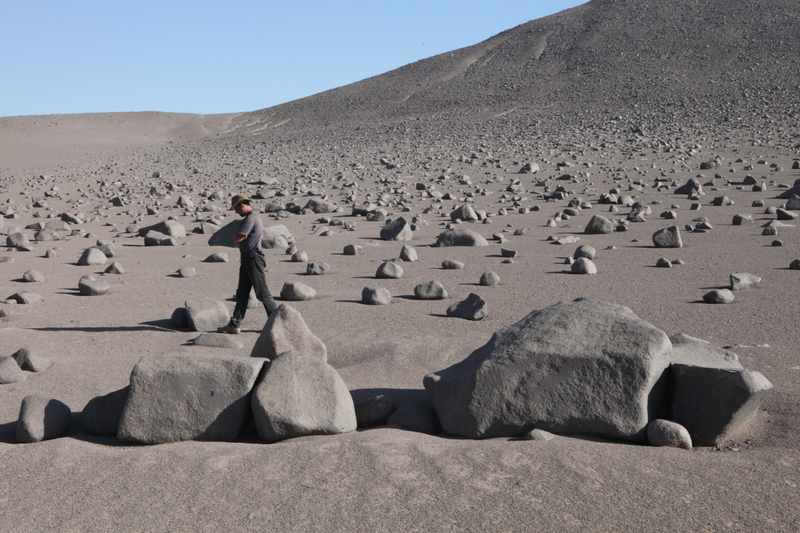 The researchers were puzzled by fields of boulders sitting hardly buried atop the silty floor of Chile’s hyper-arid Atacama desert. They noted odd “moats” in broken silt crust around the boulders, and odd patterns of smoothing around only portions of the boulders’ sides. While they were out documenting these patterns they witnessed a M5.2 earthquake (centered 100km away) rock the landscape, swaying the boulders and producing a clattering roar as the rocks clapped into one another. So… they proposed that shaking by the rather frequent Chilean earthquakes causes these rocks to rub each other, and over literally millions of years they wear each other smooth at their points of contact. A back-of-the-envelope calculation estimates that these rocks have shaken for up to 70,000 hours of their 1.3 million-year existences on this surface. That should be plenty of time to wear each other smooth, if it’s what’s really going on. If you can read the article, note that I find their Figure 2E the most compelling, showing the abraded corner of one boulder sitting nestled into a conformable, abraded concavity on a neighboring boulder. Still, I’m not entirely convinced that the authors have ruled out wind-borne sand abrasion as a cause of much of this wear. Their main arguments against it are the localization of abrasion around the mid-sections of boulders (whereas wind-abraded ventifacts are presumably more thoroughly smoothed all around), and the broken silt crust in the moats, which would be expected to be homogeneous sand if the moats were formed by wind, with the finer silt blown away. Without more detailed documentation of the features, I’m not fully convinced that these uneven patterns of abrasion cannot still be explained by localized concentration of high-speed sand grains, concentrated in narrow gaps between boulders or low along the ground in the layer of heavy saltating grains. That doubt expressed, I fully accept that their suggested mechanism is in fact an agent of boulder smoothing and erosion: they have anecdotal evidence that it occurs, and I think basic physics requires the rocking and colliding of these rocks, leading to thorough abrasion over repeated shaking through geologic time. Heck, there’s all kinds of evidence of boulder motion during quakes, from the bouncing pock marks I saw after the El Mayor Cucapah earthquake, to this classic toppled boulder in the Eastern Sierra. Rocks loosened from the hillside during a M7.2 earthquake leave trails of divots where they bounced down into a wash. The trail of a boulder, knocked during a M6 1980 earthquake from its perch atop a fault scarp, leads directly to the boulder in its resting place behind a camp site shell along McGee Creek, California. Their final discussion makes some key points: 1) in most places on Earth, water, wind, and ice erosion act much more quickly than seismic events recur, meaning that any evidence of clattering rocks is overwhelmed and erased by the more efficient modes of erosion. 2) On barren, dry, rocky planets where water erosion does not occur, seismic abrasion may actually be a dominant mode of both smoothing and transport of clasts. In fact scientists earlier this year suggested this very notion based on photographic evidence from Mars, where fields of displaced boulders (with trails!) were concentrated around seismic fault lines. What do you think? Are the smooth bands around the rocks explained by rubbing during earthquakes? We’ve seen weirder things…. 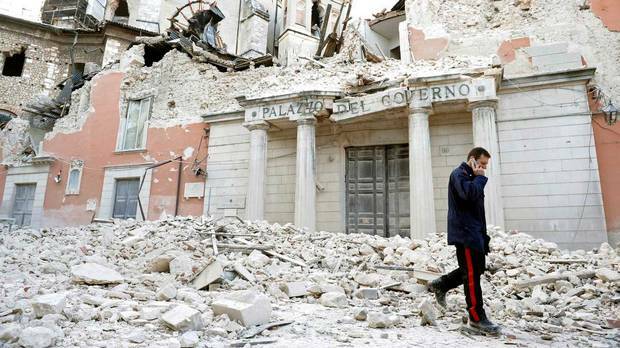 The big seismological news that started off this week was the guilty verdict in the trial of Italian seismologists and government officials indicted for multiple manslaughter after the M6.3 L’Aquila earthquake of April 2009. Natural hazards scientists the world over greeted this news with shock and dismay, and science-savvy folks of all stripes have expressed outrage about the verdict, let alone the trial itself. Angry scientists commonly lament this “trial against science,” and bewildered editorialists decry the absurdity of convicting and imprisoning seismologists for failing to warn people of an impending earthquake, a feat which I’m confident people generally understand to be impossible. The problem is… Much of this outrage grossly oversimplifies the case, and in fact is commonly based on a fallacious understanding of the trial. It behooves everyone editorializing upon it to understand the nuanced details of the situation. A news feature from the journal Nature last year illuminates these details, providing a complete narrative of the unfortunate incidents that led to this dismaying conviction. In fact the trial was not about failure to predict an earthquake. Rather, the scientists were prosecuted for not fulfilling their alleged duty to properly prepare the populace for an earthquake. This is not so subtle a distinction. This reality shows the case to have more merit than the straw-man accusation of “failure to predict an earthquake,” but it still raises some important questions about how scientists should be expected to act when communicating to the public. A fantastic synopsis of the incident, the trial, and its implications for the future of expert-to-public communication is publicly available to listen to from the Seismological Society of America, and is an essential prerequisite for informed discussion about this trail. In that recording, Tom Jordan, director of the Southern California Earthquake Center and chair of the international group commissioned by the Italian government to report on the status of earthquake forecasting operations (ICEF: the International Commission on Earthquake Forecasting for Civil Protection), presents the short history of this incident and discusses the sophisticated questions it raises. His commission’s report is also available to view and is a more technical document, but an important read if your profession involves natural hazard or risk assessment. I highly encourage you to read the Nature article or listen to Tom Jordan’s SSA talk, but if you can’t muster the patience for those, this synopsis of those synopses may serve as a rough outline of the incident. Post-quake L’Aquila from above. Photo credit: Guardia Forestale/AP Photo. Via the Boston Globe. L’Aquila, a city in one of Italy’s most earthquake-prone regions, had a series of tiny earthquakes beginning in October 2008. The series escalated through March 2009, during which time a local man started issuing earthquake “predictions” based on radon measurements. These unfounded warnings had no scientific merit but began to alarm the populace as the region continued to suffer frequent small tremors. On March 30, fearing an unwarranted panic, civil protection officials cited this man for inciting public alarm and “forbade him from making any public pronouncements.” In an untimely misfortune, a 4.1 earthquake then struck the region. Then the most unfortunate coincidence of all occurred. This was one of those <2% when the swarm unleashes a big one. That night (April 6) the M6.3 roared out from the hillsides and collapsed 20,000 buildings in and around L’Aquila, killing 309 people. Hai Sentito Il Terremoto? The Italian Instituto Nazionale di Geofisica e Vulcanologia’s crowd-sourced shaking map of the April 6 L’Aquila quake. Of course it is absurd to lay this loss on the shoulders of scientists, when so many individual decisions and uncontrollable instances led to these specific deaths. A more direct culprit that comes immediately to mind is earthquake-vulnerable construction. The twist here is that the populace had already accounted for that in their cultural custom of sleeping outside after quakes. In their eyes the “official word”–twisted and accidental as it had been–contradicted their understanding of safety “procedures” and misled them into harm. In essence, the scientists failed to fill an information vacuum: they dispelled the alarmism but didn’t replace it with the facts, or even appropriate guidance about the existing earthquake risk. Whether it was their civil duty to do so, and whether their failure to constituted criminal negligence or worse, was subsequently left up to the courts, and now we see how that turned out. The series of unfortunate incidents and hastily orchestrated public outreach that led to this dismaying conviction invite challenging questions about the role of scientists in public policy and the complicated endeavor that is risk communication and mitigation. They also underscore the need for unified (or uniform) and culturally aware procedures, and offer some lessons that will guide the development of these. Understanding what to tell people about inherently unpredictable risks is hard enough, but when colloquial notions about the risk supplant proper information from authoritative sources, the reversal of these culturally ingrained practices becomes truly formidable. While the responsible scientific research on earthquake predictability should be encouraged and operational forecasting capabilities should be developed, these activities cannot substitute for civil protection actions well in advance of earthquakes, for example in the design and planning of new buildings, or retrofitting of older ones identified as being at risk. Preparing properly for earthquakes means being always ready for the unexpected, which is a long-term proposition. With a full understanding of the L’Aquila debacle, I expect that seismologists and the public can maintain a productive and orderly discussion as we develop more useful ways of understanding and communicating earthquake hazard. California’s got a big head start, since we’ve been training you for decades what it means to live in Earthquake Country. 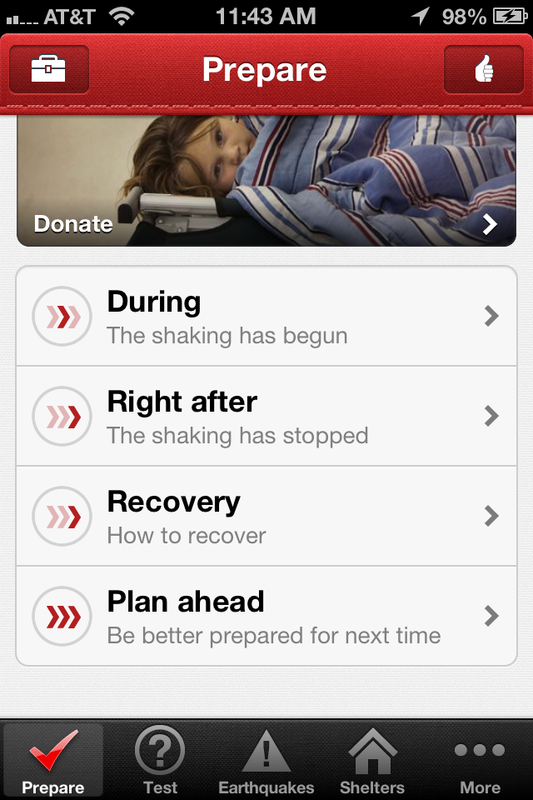 This morning the American Red Cross released a brand new app designed to help guide you before, during, and after an earthquake. This app is a must-have if you live in earthquake country, which we’ve recently been reminded means pretty much all of us. It’s a great thing to have if you live out west, where we’re plagued by earthquakes that will undoubtedly recur in our lifetimes, but the simple checklists and guidelines contained in the app are invaluable to people living in less quake-savvy regions, where earthquakes are a remote, distant risk not often considered. It’s free, and it’s chock full of both information and practical tools. It basically turns your mobile device into an all-in-one post-quake tool, info center, and instruction guide. I think you’ll want to have it. 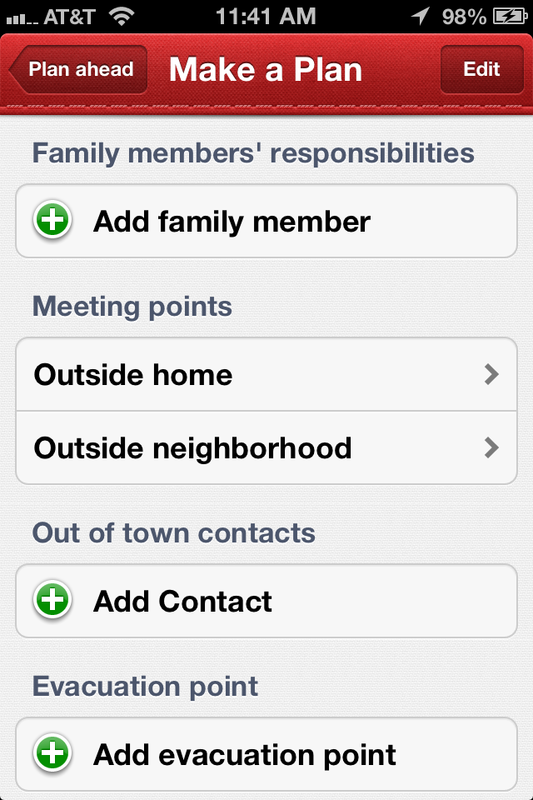 The app includes step by step instructions–and checklists! to keep you on task–for before, during, and after an earthquake. It includes a toolkit with shortcuts to the phone’s flashlight, strobe, and alarm so that you can find your way around or others can find their way to you after a quake. 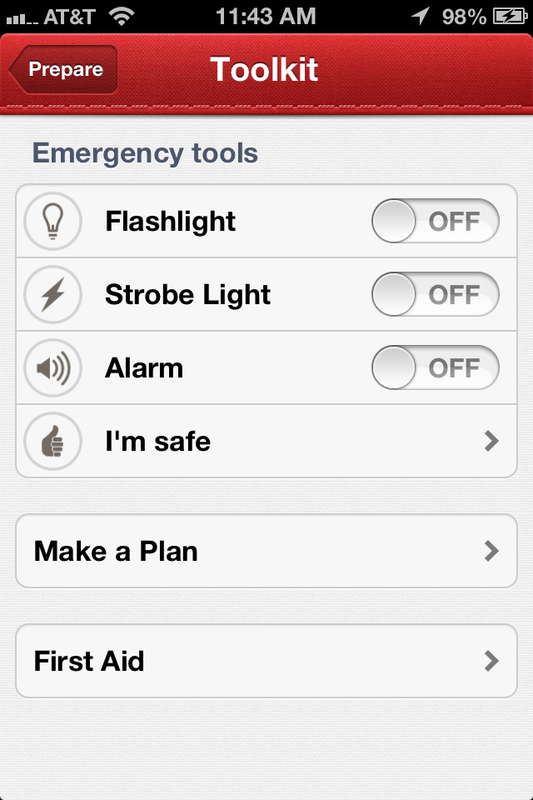 There’s a special page that helps you easily set up and share your emergency plan. This is key. This is a step that everyone is repeatedly told to take, but so few take it seriously. With this app–in like three clicks of the buttons–you have an emergency plan that you can share with your whole family. Brilliant. Do it. Map functions are also included, showing you the locations and shaking intensities of earthquakes close to your location, as well as maps showing nearby Red Cross shelters that have been set up. Of course the program wouldn’t be complete without links to a companion Red Cross First Aid app with emergency tips and instructions, as well as a quick link to donate money to their disaster recovery funds. This app brilliantly exploits the many functions of a smartphone, taking full and clever advantage of its role in disseminating crucial information straight to our pockets. I would also highly recommend the Red Cross’s companion apps, First Aid and Hurricanes. Earlier this month the California Academy of Sciences–the superb science museum in San Francisco’s Golden Gate Park that efficiently and gracefully combines a natural history museum, science museum, aquarium, zoo/rain forest biodome, and immersive planetarium dome, all under one prairie-covered roof–unveiled its summer 2012 exhibit all about earthquakes. The exhibit, titled Earthquake, Life on a Dynamic Planet, premiered on May 25, so naturally I was among the first in line at the museum’s Thursday evening 21+ “Nightlife” event the following week. Let me preface the review of this exhibit by saying that the weekly Nightlife event is absolutely brilliant. I could go on for a while about how much I admire the museum for engaging San Francisco’s intellectually and culturally curious population by revamping the museum-going experience with drinks and a DJ, and based on both its regular attendance and its critical acclaim I’m clearly not the only one. If you’re in the area or are ever travelling through on a Thursday evening, this is an absolute must. Independent of the cocktails and dance music, the Earthquake exhibit is totally a blast, chock full of engaging interactive displays and invaluable quake education. With the wide array of purposes the Cal Academy serves, it certainly has mastered the concise exhibition of fundamental information. The exhibit races you through minerals, rocks, Earth structure, and plate tectonics–all with very touchable displays and materials–then gives a quick intro to global seismology with a circular digital touch display of Earth’s cross section upon which you can induce earthquakes to watch their waves bounce around inside the planet. A layman’s introduction to how and why earthquakes happen, just like that. Next the exhibit gets right down to the practical essentials for its local attendees: how to prepare for and survive an earthquake. 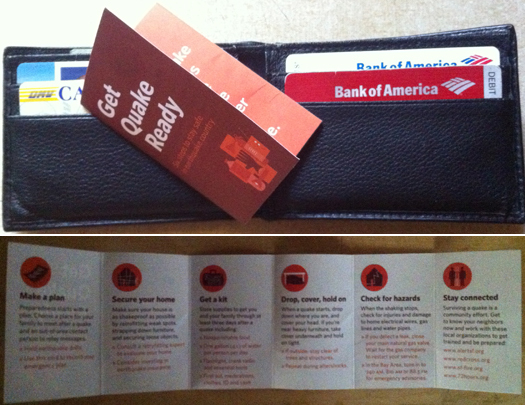 There are plenty of informational materials for the taking, including a wallet-sized reference card explaining what to have in your emergency kit and what to check for after an earthquake. The most effective display in the whole exhibit is the glass case containing all the essential components of an earthquake kit. To me this is an extraordinary way of conveying just how easy a quake kit is to put together because it gives visual reference for the amounts, sizes, and types of items that a kit should include. Seeing the objects laid out and the modest bin that they would fit in gave me a much more intuitive sense and helpful reference than a checklist ever has. The biggest draw of the exhibit is unsurprisingly the earthquake simulator. At a crowded event the line may be daunting as only a few people are let in at a time for the ~3 minute experience, but who doesn’t love a good ride, and one with educational value? The premise is smart and relevant. They’ve outfitted a small Victorian living room with shelves, china, books, and light fixtures, and a window digitally overlooking the city. The narrator conveys details about the setting and characteristics of San Francisco’s two most noteworthy historic quakes, and hydraulics put you through them in an immersive and illuminating experience. At the very least it serves as a reminder for tremor-jaded San Franciscans what the Big Ones were like. My favorite part, and imho the main reason to check out this exhibit, is the new planetarium show. The super high-tech Morrison Planetarium projection dome has been repurposed for the time being from space to the Earth’s interior. Produced entirely in-house, it’s titled Earthquake, Evidence of a Restless Planet, and has breathtaking visuals, a great soundtrack, and an impeccable script. Sweeping vistas and maps illuminate the geography of quakes around the bay area and around the world, and expert visualizations of real earthquake computer simulations bring modern research to life. The real strength of the documentary is how it ties global tectonics in to local relevance, including the risk and history of life in the bay area. It also emphasizes the profound connection between the forces that cause earthquakes and features of the planet that have enabled the evolution of humanity and the development of civilization. You just must go see it. It also includes a super humbling re-creation of the 1906 earthquake from the center of Market Street, and a brilliant little live interlude to get you up to speed on current seismicity. I adore planetarium shows, and this one is the best I’ve ever seen (although I may be biased toward the subject matter). Watch the trailer below, and tell me you don’t want to sit back and go soaring through these smartly illustrated lessons. I hardly have the time or space to say all the good things I want to about this exhibit, so let me simply conclude by telling you you have to go see it, and let it speak for itself. The exhibit doesn’t take much time to peruse, but you can’t miss the planetarium show. I’ll be going back again, and I’ll be trying to buy the DVD of this show once I can. If you live in Northern California you have no excuse. If you live a bit farther away… you barely have an excuse. Has anyone seen it yet? What did you think?